This week I’m introducing a new section to the site called “The Want Ads”. We’ve all heard the stories of how someone posted a picture of a lost wedding ring in Florida and through the power of social media it made its way back to its original owner in Washington state. 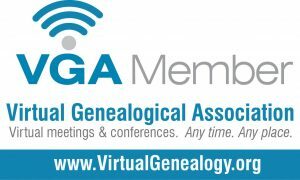 You’ve also probably heard the great sites like Random Acts of Genealogy Kindness. Well…I’m going to harness the powers of these great programs here on my site! “The Want Ads” is going to be a section where I post pictures, questions, requests for help, and other items and hopefully we can help each other! Do you have an old picture and just can’t figure out who is in it? Do you need a document from an archive that is just a little too far for you to get to? Are you stuck on a research problem and would love some advice from other researchers? My dream is that we can all help each other, because you know you’re looking for help too! Previous Post Who Do I Even Look For?? Next Post Wanted: Who’s Coming To Dinner?